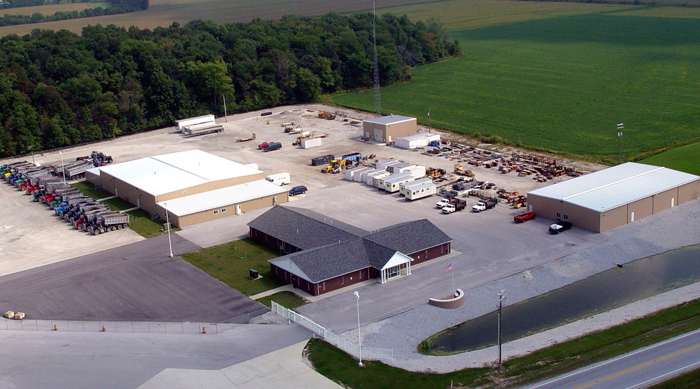 We have experience with a wide range of public works projects including institutional, commercial, educational, environmental, site development and utilities. Our goal is to provide a responsible work force that gets the job done safely, on-time, on-budget and according to contract requirements. The experience, determination and dedication of our employees are our most valuable assets. They are the reason we have successfully completed over a thousand projects with quality workmanship, adhering to strict budgets and tight schedules since 1969. Kirk Bros. Co., Inc.’s vast experience and dedicated employees give us our competitive edge and contribute to our success year after year. We believe the loyalty we have with owners, design consultants, subcontractors, vendors and especially our employees enables us to exceed our goals and those of our clients. Our strong relationships with municipalities, utility owners, engineers and specialized subcontractors enhance our ability to work through complex and in-depth projects. Kirk Bros. Co., Inc. is extremely competitive with today’s aggressive costs and accelerated construction schedules. Kirk Bros. Co., Inc. was founded in 1969 by Robert W. Kirk and his family. Kirk Bros. Co., Inc. is a part of Kirk Corporation with assets of more than 200 employees and several million dollars in construction equipment. The Kirk Corporation represents decades of experience in all areas of the construction industry. Kirk Bros. Co., Inc. and Kirk Corporation are dedicated to excellence and committed to our employees, clients and communities. Kirk Bros. Co., Inc., a family formed and based construction company, recognizes that our employees are a valuable resource and our reputation is the most lasting legacy. Having been involved in the construction industry for over four decades, our purpose is to bring to every project a level of professionalism and attention to detail which will exceed the owner’s expectations earning their trust for years to come. Our dedication, integrity, hard work and craftsmanship benefits clients and assure continued success. Kirk Bros. Co., Inc.’s vast experience and dedicated employees give us our competitive edge and contribute to our success year after year. An Equal Opportunity Employer.